An art educator, fashion designer and seasoned administrator, Professor Taylor-Gearing stepped into the leadership position at NSCAD University effective August 4, 2014. She succeeded Dr. Daniel O’Brien in the role, becoming the school’s 22nd leader over the past 127 years. Prior to arriving at NSCAD University, the U.K. citizen and Yorkshire native had served two years as the Vice-President Research and Academic Affairs at the Alberta College of Art + Design (ACAD) in Calgary, Alberta where she was tasked to advance the structure, strategy and academic rigor of its degree programs. Achievements include the approval of the school’s first grad program, a Master of Fine Arts in Craft Media, the introduction of a new academic structure with the appointment of four academic chairs, and accessing funding for new “2+2” programs between ACAD and other Alberta colleges. She has more than 27 years of experience in art and design education and practice. She graduated with a Bachelor of Arts (Honours) in Fashion and Textiles from Middlesex University, London. She then completed two years of post-graduate studies for the award of Higher Diploma in Fine Art, Theatre Design from the University of London, Slade School of Fine Art; and then earned her Post Graduate Teaching Certificate from Leeds Metropolitan University, U.K. Prof. Taylor-Gearing was elected Fellow of the Royal Society of Arts, London in 1990 and graduated from the Harvard Business School General Management Program in 2011. Prior to her position at ACAD, Prof. Taylor-Gearing was the Pro-Vice Chancellor and Executive Dean at the University for the Creative Arts, U.K.; and Head of the Faculty of Design at Ravensbourne in London, U.K. She was also the Vice President, Admission at the Savannah College of Art and Design in Savannah, Georgia. Student achievement and success is at the heart of her passionate commitment to creative arts education, research and practice. She has a track record of reaching out to local communities and contributing to making a positive difference. Prof. Taylor-Gearing was the chair of the Medway Cultural Partnership in Kent, U.K., and a founding Governor of the Strood Academy School in Medway, Kent, U.K.
Paul Millman has been working in the international education field for over twenty years. His journey began with a teaching assignment in Japan in 2002 which was the catalyst to him working to help create the Nova Scotia International Student Program (NSISP). From a single student in 2007, the NSISP has grown to become one of the largest high school programs in Canada and operates the largest public homestay program in the country. With degrees from Mount Allison University and St. Francis Xavier University, Paul now serves as the NSISP Executive Director in Truro when he is not working abroad to promote Nova Scotia education. The NSISP has welcomed over 10,000 students to Nova Scotia, many of whom have stayed to study in post-secondary institutions and then immigrate to our province. Don Bureaux, President of Nova Scotia Community College (NSCC), is an experienced leader dedicated to the education of adult learners throughout Nova Scotia. His background includes teaching, program development and administration, and collaborating with educational institutions around the globe to create successful learning opportunities for students. Prior to joining NSCC, Don was the Assistant Director of the Acadia Centre for Social and Business Entrepreneurship (ACSBE) at Acadia University as well as a Lecturer in the F.C. Manning School of Business. Don first joined NSCC in July 2004 as the Manager of Administrative Services for the Halifax Campuses. In May, 2005, Don became Principal of the Kingstec Campus; Vice President, People & Planning in August 2008; Vice President, Academic in August 2009; Acting President in June 2010 and, most recently, President in April 2011. Don has been working with adult learners for over 20 years within colleges and universities, as well as with national and international professional designation granting bodies. He has collaborated with educational institutions in North America, Europe and Asia in the researching and implementation of entrepreneurial cultures as a foundation for learning-centered environments and student success. He has presented at numerous national and international conferences and has worked with a number of foreign educational institutions and governmental bodies in the development of success-based models for both students and staff within post-secondary institutions. Don has worked with the boards and staff of numerous not-for-profit organizations in Nova Scotia in the areas of board governance, policy development and strategic planning. 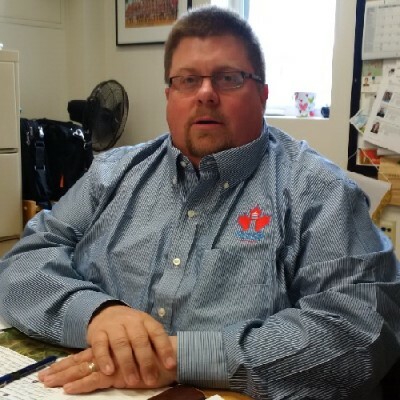 Don holds a certificate in Adult Education and a Bachelor of Business Administration from Acadia University. He earned his Masters in Business Administration from Heriot-Watt University. Don is a Certified General Accountant and holds an international designation as a Certified Business Counsellor through the Asia Pacific Economic Cooperation (APEC). Business Counsellor through the Asia Pacific Economic Cooperation (APEC). As Senior Vice President and co-owner, Rob leads the public affairs practice for Colour, a leading communications and marketing agency with offices in Halifax, Moncton, St. John’s and Toronto. Since joining Colour more than 10 years ago, Rob has provided strategic counsel to clients in the energy, transportation, health care, financial services, construction, food service, tourism, entertainment and small business sectors. 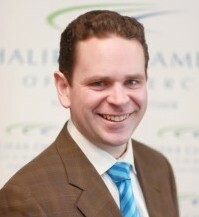 Before his move into private practice, Rob spent most of the previous decade working in the Office of the Leader of the Opposition in Nova Scotia, on Parliament Hill in Ottawa and in the Office of the Premier of Nova Scotia, first as Press Secretary, then as Communications Director. A dedicated community volunteer, Rob currently serves as President of Neptune Theatre Foundation, Chair of the Halifax Chamber of Commerce and a member of the national board of the Communications and Public Relations Foundation. 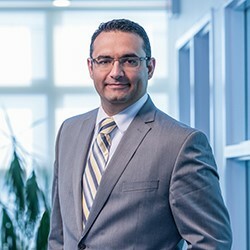 Saeed El-Darahali is the president and CEO of SimplyCast, a leading provider of self-service multi-channel marketing solutions that empowers businesses of any size to create, manage and track their online and offline marketing campaigns. He is the driving force behind the SimplyCast team, who built the company from the ground up to what is now an industry-leading marketing platform that serves clients in over 175 countries. Saeed brings over 10 years of management experience in the IT industry, with an interest in strategic partnering, corporate financing, strategic growth, operations, and sales and marketing management. He has participated as a speaker at many conferences, including NAWeb, Invest Atlantic, CABI, the 7th World Congress of e-Business, Enterprise Atlantic, ARCNA and was a part-time lecturer at Saint Mary’s University, where he taught a senior level computer information systems course. Most recently Saeed attended 48hrs in the Valley representing SimplyCast after the company was selected as one of Canada’s most promising start-ups. This followed SimplyCast being named one of the most popular marketing automation solutions by Capterra in early 2012. Saeed is passionate about technology and about helping people reach their goals. He enjoys sharing his experiences with start-up companies, offering insights into growing a business and becoming successful. Saeed holds a Masters of Business Administration, a Bachelor of Science in Computer Science, a Certificate of Human Resource Management and Minor in Economics, all from Saint Mary’s University in Halifax, Nova Scotia. Saeed is featured in the Sobey School of Business’s Success on My Own Terms campaign. Dr. MacDonald is a highly regarded leader in Canada’s post-secondary system. Over the past two decades, Dr. MacDonald has become well known for his highly personal and authentic style of leadership and has spoken to audiences around the world including Asia, the Middle East, Europe, and across North America. Professor MacDonald’s interest is higher education leadership. 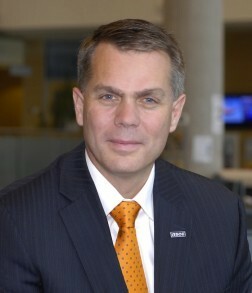 Over the past two decades he put this interest into practice by holding increasingly complex leadership roles including President (Algonquin College, Ottawa, Ontario); Vice President, Academic; Vice President, Student Services and Development, and Dean, School of Business. Dr. MacDonald completed undergraduate and graduate work at StFX University and he earned an MBA from Université d’Ottawa. Dr. MacDonald completed his doctoral studies at the University of Pennsylvania in Philadelphia, PA where his research focused on high performing institutions and higher education leadership and management. Dr. MacDonald has also held senior leadership positions in the private and the not-for-profit sectors, has served on a variety of public and private boards and is a proud educator who has worked in the elementary, secondary and post-secondary systems in Canada and New Zealand. Sheila Nunn is the joint owner of East Coast School of Languages (ECSL), an English as an additional language (EAL) school for adults in Halifax. Sheila has been with ECSL since the doors opened in 1998. In that time, she has held the positions of EAL instructor (with a TESL Canada Level Three certificate), Director of Studies, Director of Business Development, and Director of Marketing. In 2013, she became ECSL’s first President and CEO. In her time at ECSL, Sheila has grown the school from a student population of 30 to approximately 200 students from more than 30 countries. Prior to immigrating to Canada from England in 1994, Sheila held a senior position in a market research agency in England for 10 years. After travelling across Canada, she chose Nova Scotia as her new home, where she established her own English tutoring business in Halifax and later joined ECSL. In 2003, Sheila developed ECSL’s University and College Pathway (UCP) program, the first post-secondary pathway program in Halifax. 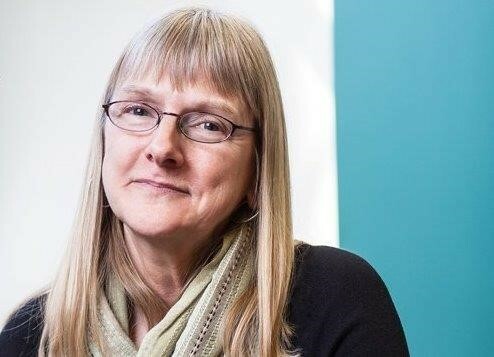 Since then, she has worked collaboratively to develop successful partnerships with Nova Scotian institutions and programs such as universities, the Nova Scotia International Student Program (NSISP), private career colleges, and Nova Scotia Community College. She has also facilitated partnerships with a number of institutions outside Nova Scotia. She has helped many international graduates remain in Nova Scotia by providing work opportunities at ECSL. Sheila was a founding member of EduNova and served on the Executive Committee as treasurer from 2007 to 2011. She returned to the Executive Committee in 2013 to help develop EduNova’s strategic plan. For four years, Sheila served on the Board of Directors for Languages Canada (Canada’s national association for the language-training sector) and co-chaired the Advocacy and Affiliations committee. In 2014, she was instrumental in launching the first World Student Day, a national event created to celebrate international students studying at Languages Canada institutions. Sheila is a member of the Women Presidents’ Organization, a volunteer in the Halifax Connector program, and a mentor to women business owners.